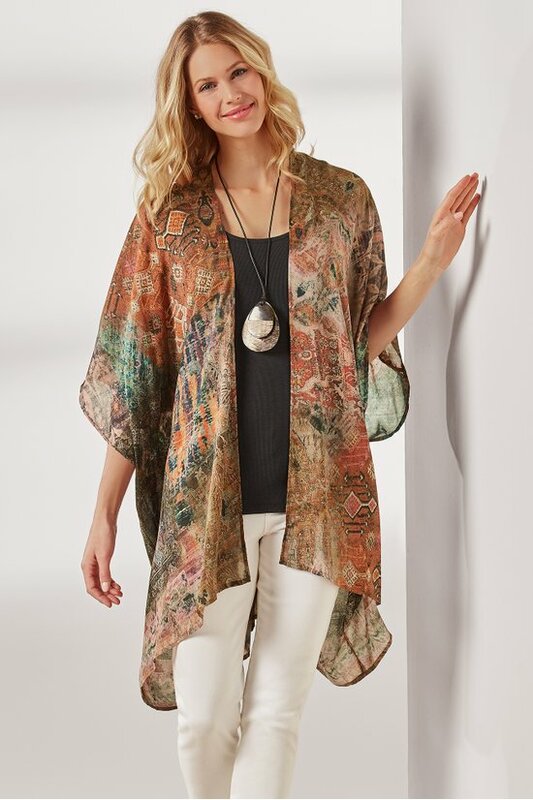 The rich jewel-tone colors of a far-away sunset imbue this lightweight kimono topper. Luxuriously soft, the season-spanning style instantly transforms an outfit and is perfect for welcoming the warmer days ahead. 33-1/2" long.